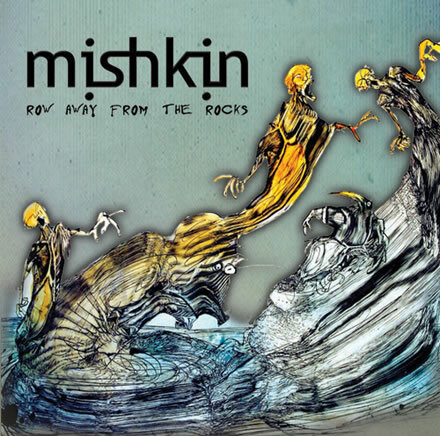 Mishkin seem to me to be a mix between heavy rock and technical genius, with some extremely catchy songs backed up with some outstanding musicianship. The key words there are catchy songs. These are sing along anthems which grab the listener and stretch open their ear holes with their pure awesomeness. Varying from the jagged rhythms of Good Day to Die to the catchy sing along Waiting for the World To Change to the Danny Elfman style opening of On Your Sleeve, Mishkin have provided more variance in just a 4 song EP more than most bands provide in an entire album. This is a band who, whilst only now releasing their 2nd EP, have done a lot and have a lot of experience under their belts, having written a song for the 2008 Bejing Olympics and done full tours of China twice. You can tell whilst listening to the EP as it has such a mature sound that won’t confine them to one genre and will allow them to push the limits of what they can do. After listening to this EP I am desperately looking forward to their debut album. I can’t recommend this band enough. No matter if you’re into Hard Rock or Metal or Prog, there will be something for you to find on this EP.